No crystal in this one, as in your IPA? Hi Ray - we stopped adding crystal a while after we made the switch to partial mash brewing. It was adding malt flavor and color we didn't want. We like our IPAs light on the malt front and big on the hop front. 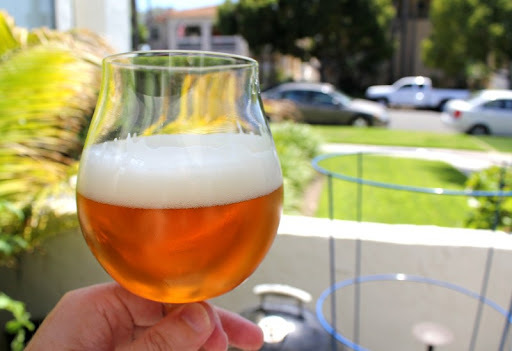 Not using a saison yeast will definitely change the beer, but we have brewed pretty much this same recipe with California ale yeast and it makes for a very nice IPA.